What is the cost of a qualified landscaper? From mom and pop operations to large national companies, there are a million different types of landscapers. Because education and training is not a prerequisite the degree of knowledge and professionalism varies from company to company. A landscape installation is a major investment and the new landscape’s lifespan depends on how it is maintained. Managing the care of trees, shrubs, annual color, turf, soil and irrigation require skilled workers who understand proper pruning, mowing, edging, pests and a host of other issues. Proper insurance, licenses and commercial grade equipment are a prerequisite for a majority of commercial and many residential properties. It requires knowledge and experience with plants and all the myriad of factors that impact their health and vigor. Within the industry are experts who specialize in its different facets: irrigation, horticulture, design, aboraculture and Integrated Pest Management (IPM). Whether a residence or large corporate campus, talent, education, experience and resources make a big difference in preserving your landscape. 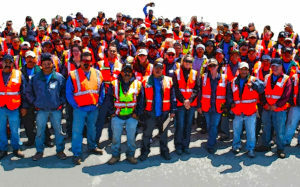 We promote Landscape Industry Certification – it’s your best insurance for protecting the integrity of your landscape. When meeting with a prospective client we have often heard these complaints. We’ve also heard this – “When we hired our current landscape contractor we hired them because the price was low. Now we understand ‘you get what you pay for’”. But sometimes low price continues to drive decisions. There is always a company willing to discount their rate. But low price and good quality work are not sustainable. Low price means one of three factors: the people doing the work are insufficiently compensated, they lack knowledge/skill, or the scope of work is being compromised. We believe in charging a fair price for high quality professional work. It benefits the worker, the client and the environment. It takes a high level of skill and experience to develop a professional scope of work. For landscape maintenance – location, plant types, trees, irrigation, environmental factors and traffic are considerations when developing a scope. It’s a valuable road-map that should stand on its own. A prospective client is able to compare – apples to apples – between multiple bidders. And, when the landscaper is hired the client knows what to expect. A valid contractor’s license is required for installing gardens, irrigation systems or hardscape – if the value is $500 or more. Other licensing includes Liability insurance, Workers’ Compensation, pesticide applicator’s license and business licensing are all required for our commercial work. The landscape industry’s certification program is the best measure of skills, knowledge and experience from a theoretical and practical perspective. Our managers have a range of different certifications that demonstrate their competency in horticultural practices, maintenance and irrigation. The logo “Landscape Industry Certified” is a powerful distinction. It means that employees have taken their experience and skills to the next level of professionalism. And, like any profession, there is an ongoing re-certification process. Understanding how environmental conditions, light, soil and water impact the health of an infinite number of plants can be complex. It requires training and experience. One example: a stressed plant that looks like it’s not getting water may have an issue that is completely unrelated. 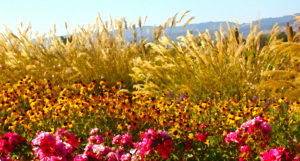 Gardeners’ Guild, as do other professional landscape companies, offers in-house training. Our subjects include horticulture topics, irrigation and state of the art products, IPM (Integrated Pest Management*) as well as different aspects of communications and leadership. Over the years Gardeners’ Guild has been involved in the green industry helping to shape its testing programs, curriculum. We have also been active in municipal water districts and IPM program. 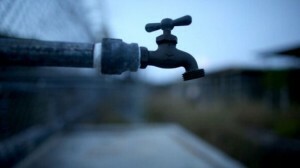 The drought reshaped our thinking about water. New regulations and an ever increasing array of irrigation products require our landscapers to be water experts. Irrigation professionals should know how to design, install, use, test and repair a system. He or she must also be continuously updated in the various products in order to recommend the most appropriate one. New technology also requires client education. Gardeners’ Guild has a commitment to regular training on the latest products and trends so we can be an important resource for clients. We also keep up to date on rebates in order to assist on how to leverage them. A CLIA is authorized to conduct a water audit on a property. They supervise the collection of site data. Based on their findings they can recommend an irrigation schedule for effective water management. Gardeners’ Guild managers are QWEL certified. QWEL is recognized by EPA’s Water Sense and gives our managers specialized expertise in water management, efficient irrigation, system design and audit. Landscape Industry Certified Irrigation Technicians are qualified to install, maintain and repair irrigation systems. Using the least toxic practices is the increasingly preferred method of dealing with weeds and other pests in the landscape. Gardeners’ Guild has incorporated these practices since the 1980s. We also have a licensed and certified full service IPM division. Keeping up to date on local ordinances and trends is critical and we are involved through organizations such as SF Department of the Environment, IPM Technical Advisory Committee, PAPA (Pesticide Applicators Professional Association) and San Francisco IPM Task Force . Sometimes a pesticide application is necessary, a pesticide applicator’s license is required. These go hand in hand with the above. 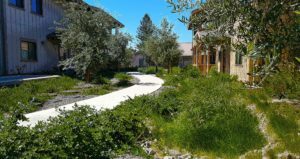 As the San Francisco bay area’s awareness of climate changes proliferates, the demand for landscape contractors using ecologically friendly practices has grown. Gardeners’ Guild has been a pioneer in developing its own green landscape management program called LivingSolutions. A new (or really old) way of thinking – healthy soil makes healthy plants. It requires continuous training, but the results are worth it. https://www.gardenersguild.com/wp-content/uploads/gardenersguild-logo.jpg 0 0 sharris2011 https://www.gardenersguild.com/wp-content/uploads/gardenersguild-logo.jpg sharris20112016-08-08 22:06:232016-08-16 23:24:21What is the cost of a qualified landscaper?